Hardcover, 6.75 x 9.75 in. / 368 pgs / 278 color. Essays by Thomas Kellein, Anny De Decker, Christoph Ulmer. Artists include: Carl Andre, Dan Flavin, Dan Graham, Donald Judd, On Kawara, Thomas Kellein, Sol Lewitt, Richard Long, Mario Merz, Bruce Nauman, Lawrence Weiner. 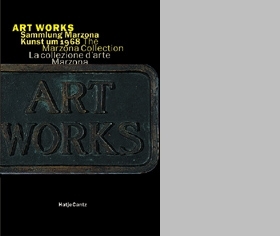 The Marzona collection is an almost complete mosaic of Minimal and Conceptual Art, Arte Povera, and Land Art, with more than 1000 works by such luminaries as Bruce Nauman, Carl Andre, Donald Judd, Sol LeWitt, On Kawara, and Dan Flavin. 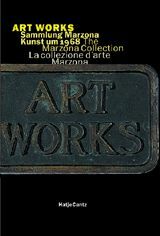 A conversation between Elena Carlini, Daniel Marzona, Egidio Marzona, Frederico Rossi, Paolo Toffulutti, and Piero Valle compliments this presentation of 100 of the most important works from this collection. FORMAT: Hardcover, 6.75 x 9.75 in. / 368 pgs / 278 color.